Item # 308052 Stash Points: 5,495 (?) This is the number of points you get in The Zumiez Stash for purchasing this item. Stash points are redeemable for exclusive rewards only available to Zumiez Stash members. To redeem your points check out the rewards catalog on thestash.zumiez.com. 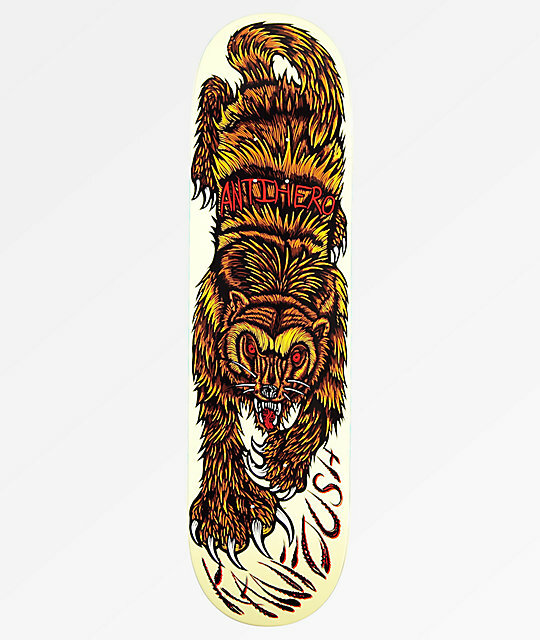 Austin Kanfoush strikes again with his latest pro model, the Kanfoush Gulo 8.25" skateboard deck from Anti-Hero, named for the Gulo Gulo (or wolverine), a furry animal featured as a graphic on the underside of the deck. This popsicle shape deck offers a classic feel with it's poppy seven-ply maple construction, designed to stand the test of time. 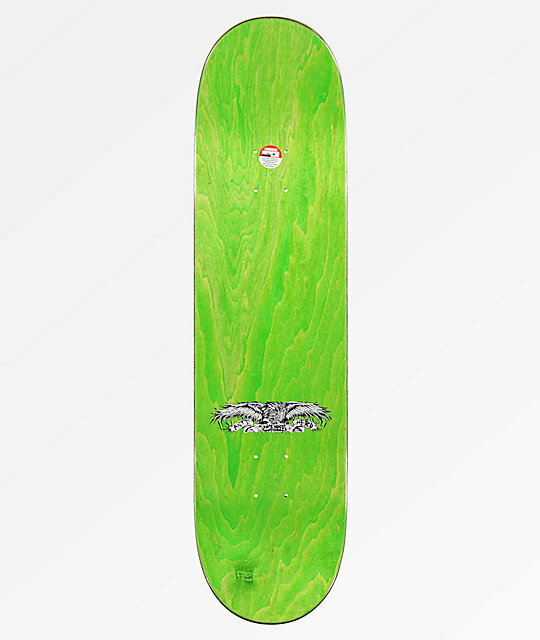 Kanfoush Gulo 8.25" Skateboard Deck from Anti-Hero. Signature Austin Kanfoush pro model. Popsicle shape deck with a mellow concave. Grip tape not applied to the deck. Components such as trucks, bearings and wheels sold separately. Comes with a Anti-Hero decal sticker.